Tonight! 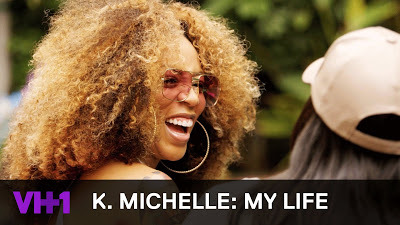 ALL NEW K. Michelle: My Life Season 2 at 9:30PM on VH1 #KMichelle ~ Phresh Hott New! On today episode, “The T-Pain of Love” Bobby’s back and he wants his fake jewels. Someone has broken into K’s house. Hmmmm! K.Michelle Meets Up With Bobby's Ex, Angela…. Look below as K.Michelle is embarrassed that she didn't listen to Angela's warning about Bobby. Angela apologizes for the way she went about warning K. K talks about her shocking revelations of how many kids Bobby has.